With new specifications that see an increase in size and weight, but no increase in cost, stairnosings from floorwise bring better value than ever before and more metal for your money. floorwise has brought together a comprehensive collection of stairnosings perfect for heavy-duty commercial work. With more metal, these nosings offer greater wear resistance than many others on the market. In its extensive range of PVC stairnosings, profiles, skirtings and trims, floorwise boast exceptional value. Using a premium quality construction each item is available in a range of colours, so whether providing edge marking or a more subtle transition, the end result is always the same, lasting performance. Covering every conceivable need from compliant stairnosings to capping strips and cove formers, the range can be accessed from floorwise trade counters across the UK. 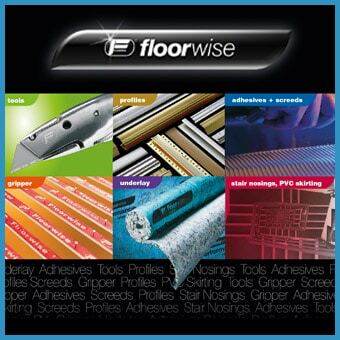 “Here at floorwise we believe in offering the best performance, best quality and the best price right across our range, so whether screed or skirting, installers can be entirely confident that anything bearing the floorwise name will bring them reliable performance and great value. With coverage across the UK and in Ireland, our great value is easier to access than ever before,” concludes Richard Bailey.